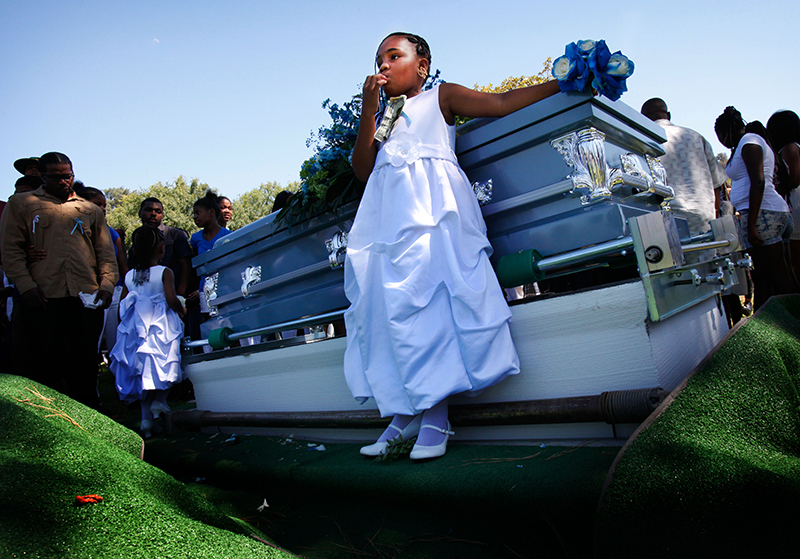 Six year-old, Elinyah Cavitt rests on her Father's casket during his burial services at Rose Hills Memorial Park. Ervin Cavitt, was gunned down outside a party in South LA following a dispute. Police found Cavitt dead on the sidewalk when they arrived on the scene and are still looking for the suspect. Cavitt's father, Jerald "Pee" Cavitt, is a prominent gang intervention worker in the neighborhood. All three of Jerald Cavitt's son's have been killed by gun violence.